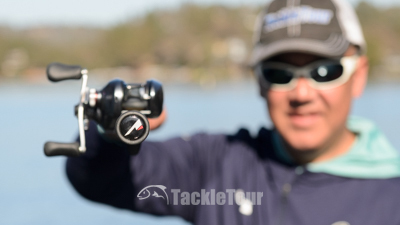 Introduction: In March of 2018, in their first official review here on TackleTour, ARK Rods's Invoker IVK610MLXS spinning rod easily won our Best Value award for delivering a solid performing stick on a good blank. 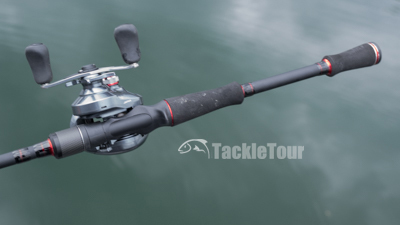 Does their formula translate well in a casting rod? We take a close look at the IVK70MXC to find out. Introducing ARK Rods's Invoker IVK70MXC. 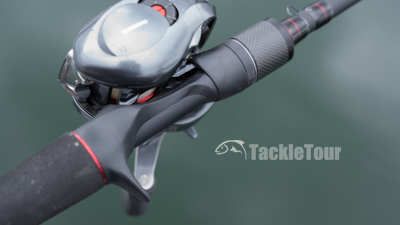 Impressions: The casting rods, like the spinning rods, from ARK's Invoker series feature a black, red, and chrome color scheme. The IVK70MXC specifically is a seven foot (7'-0") stick made from Toray's 40 Ton carbon fiber material. The blank is designed with an extra-fast taper and built up with generic, stainless steel guides with Zirconium inserts. The reel seat, also unspecified, is a skeletal type design with a very large opening along the underside for direct contact with the blank. Getting ready to test the casting side of Invoker. Real World Tests: I matched the IVK70MXC with a Shimano Chronarch Ci4+ spooled with twelve pound Seaguar Tatsu Fluorocarbon. I originally reached for one of my more up to date Chronarch MGLs, but the red highlight touches on the Ci4+ match the IVK70MXC so perfectly, I couldn't resist. I matched the IVK70MXC with a Shimano Chronarch Ci4+ spooled with twelve pound Seaguar Tatsu Fluorocarbon. Casting: The IVK70MXC is rated from one sixteenth of an ounce up to half an ounce (1/16 - 1/2oz) in lure weight. I am naturally skeptical of any medium powered or above casting rod with a lure rating below one eighth of an ounce (1/8oz). The IVK70MXC does nothing to assuage that skepticism. Its sweet spot is somewhere between a quarter ounce up to half an ounce in lure weight and it does better over half an ounce than it does below one quarter of an ounce. Of course, exceed rod ratings at your own risk because that does, technically, void your warranty. 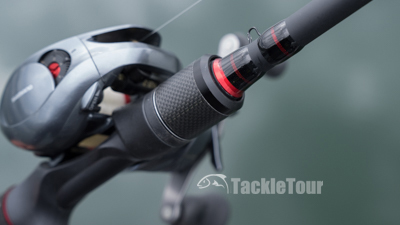 The IVK70MXC's reel seat features a very large, exposed blank opening. Sensitivity: I fished the IVK610MLXS earlier this year with 10lb Sunline Super Natural nylon monofilament and came away feeling the rod had above average sensitivity. 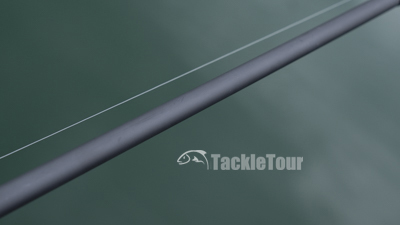 Since the IVK70MXC is made from the same raw material, I wanted to see how it would perform with a fishing line that enhances a rod's sensitivity. The blank is sanded and unfinished. Cutting right to the chase, I tied on a new Spro Fat Papa Square Bill to check out the IVK70MXC's casting ability and sensitivity at the same time. The 55 sized Fat Papa Square Bill weighs 1/2oz - right at the stick's up limit in lure rating and the IVK70MXC handles the bait just fine. The lure has the typical crazy wobbling action of a squarebill crank and with the IVK70MXC, I was able to feel everything from the consistency of the bottom in three feet of water to the deflection off obstacles to the vibration robbing sensation of when the lure got caught up in grass. 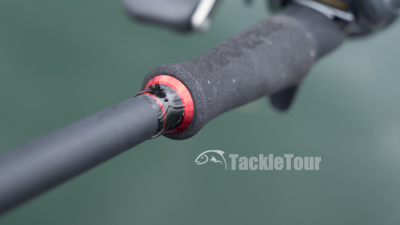 My assessment of the IVK70MXC's sensitivity is the same as that of its spinning rod sibling, which is overall quite decent, and the use of fluorocarbon really enhances performance and makes for an even better experience.